ACECQA met Tarsha Howard, Early Childhood Coordinator at Amata Anangu Preschool, in 2013 at the NQF conference in Sydney. Tarsha had some concerns at the time that working in a remote service might be a barrier to raising the quality of children’s education and care. This month we catch up with Tarsha after the preschool was assessed and rated to find out about their journey. 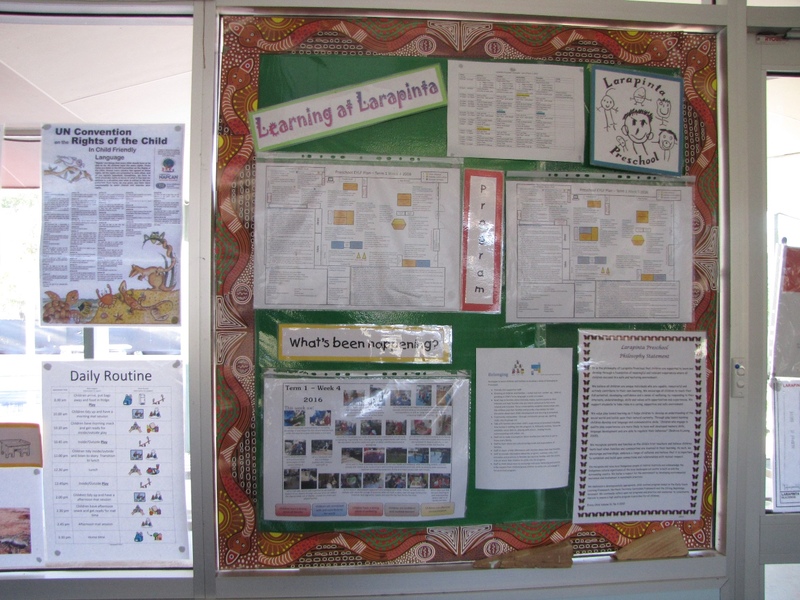 At the time of the NQF conference I was fairly new to teaching and working at Amata Anangu Preschool; a school based preschool on the Anangu Pitjantjatjara Yankunytjatjara (APY) Lands in South Australia. I travelled to Sydney from the remote Anangu Community and learnt so much about the National Quality Standard (NQS), the quality areas and how to lead change and improve outcomes for children. I realised that while remoteness and isolation certainly present their challenges, it is still possible to provide high quality education and care in our community regardless of our location. I left the conference with a strong resolve to achieve Meeting the NQS during our assessment and rating. 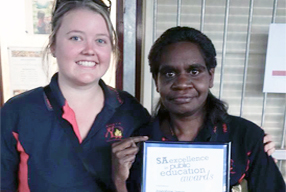 I work with Josephine James, Amata preschool’s Anangu Education Worker, to develop and implement the programs at our preschool. Josephine is from community. Pitjantjatjara is her first language and she has a deep understanding of the culture, past and present. We see each child’s learning in the context of their family, culture and community and use local activities to help them develop a sense of belonging. Culture is incorporated into everything we do. Different elements of the outdoor play area represent community and the environment of The Lands. We’ve designed a rock creek that winds from one side of the yard to the other, leading down to a big mud pit and mud kitchen. When it rains in Amata, which isn’t very often, the natural creeks flood and the kids get straight into mud play. Often the children, families and community members gather to share stories. Josephine leads group time with story wires; a popular cultural activity where children use curved wire to tell their stories in the sand. We also regularly hold family gatherings at the preschool fire-pit, where the treat is kangaroo tail (malu wipu) and damper. Josephine and I use this as a time to share information with families and discuss each child’s learning journey. One of the most rewarding aspects of my work is seeing the children transition to school. Once a week, some of the children and I visit Amata Anangu School to develop relationships with teachers and get a feel for school-based learning. The program is hugely successful. I’ve been in community for almost three years and I’ve had the opportunity to watch the children develop relationships at the school, build their problem solving skills and demonstrate independence. It’s a powerful reflective tool. One challenge we face in our remote setting is the children’s transience and sometimes irregular attendance. It is not unusual for children to miss preschool for months due to cultural and family obligations. This can make documenting the child’s assessments and evaluations hard, but honouring, respecting and valuing the families and home life is very important. This often includes allocating the time to make contact with teachers in other APY Lands communities to share information about children who are visiting a different preschool. The morning of our assessment and rating visit I was terrified that we’d have to close the preschool for cultural reasons, or for an emergency like a snake getting into the outside yard. Thankfully there were no interruptions and the experience was a rewarding one. Towards the end of the visit, Amata Anangu School principal Greg Wirth and I met with the assessor. It was our opportunity to lead the conversation and share our quality improvement journey. The feedback we received was really positive. Our Quality Improvement Plan effectively tracked our short and long term goals and illustrated our quality improvement story. The following term, we received an overall rating of Exceeding the NQS in every quality area. We baked a big cake that had all the quality areas on it and invited everyone in the community to our outdoor yard for a celebration and BBQ. People from community spoke in language about the NQF. Everyone was incredibly proud of what we achieved and the role Amata Anangu Preschool has played in each child’s present and future health, development and wellbeing. We continue to grow and contribute to strong early education in the Anangu Lands Partnership. Visit the Amata Anangu Preschool Facebook page, where the story continues. ACECQA’s National Education Leader, Rhonda Livingstone, explores how early childhood education and care services can support children to make a positive transition to school. The beginning of a new experience is generally an exciting time for anyone but with it also comes a level of apprehension as you take your first steps into the unfamiliar. Starting school is a big step for children and helping them transition to school is an important part of their journey of life-long learning. Knowing what to expect in the school environment helps children to make a smooth transition and preparing children for this begins well before their first day of school. Success is more likely when key stakeholders, including children, families, educators, teachers and relevant community representatives work and plan this transition collaboratively. Researchers have also identified that children’s initial social and academic successes at school can be crucial to their future progress. The Early Years Learning Framework and the National Quality Standard (NQS) recognise the importance of transitions and embedding continuity of learning as a key principle. This is acknowledged in element 6.3.2 of the NQS which requires that continuity of learning and transitions for each child are supported by sharing relevant information and clarifying responsibilities. The notion of supporting children in their transitions is woven throughout the NQS. For example, recognising the importance of supporting children to feel secure, confident and included (5.1.3), building relationships and engaging with the local community (6.3.4) and families (6.2.1), and linking with community and support agencies (6.3.1), to name a few. The Early Years Learning Framework (p. 16) reminds us of the importance of ensuring children have an active role in preparing for the transition and building on children’s prior and current experiences to ‘help them to feel secure, confident and connected to familiar people, places, events… understand the traditions, routines and practices of the settings to which they are moving and to feel comfortable with the process of change’. It is widely acknowledged that effective transitions require collaboration between early childhood programs, schools, families and other relevant professionals. Increasingly, we are moving away from the notion of school readiness, instead working collaboratively to ensure the transition to school is smooth and children have every opportunity to settle into their new environments and succeed. Many researchers acknowledge that children’s adjustment to school is not simply about a child’s specific skill set, but is shaped by the relationships and interconnections formed between key stakeholders (such as teachers, educators, families and health professionals). ACECQA recently heard from principals from two schools in regional Queensland (Charleville State School and Newtown State School) who are working collaboratively to build partnerships and networks with families, health services, early childhood services, schools and the broader community as part of the Great Start, Great Futures project. The project draws on data from sources such as the Australian Early Development Index (AEDI), brain research and ecological, educational and developmental theories. It has reframed the idea of school readiness to ensure schools are ready, welcoming and engaging and children are ready for sustained school success. So how can early childhood education and care services help support children’s positive transition to school? involving children in transition planning can trigger early childhood educators and Prep teachers to think about how routines and activities can be improved’. Parents and early childhood professionals can work together to prepare children to understand the change in environment, including providing clarity around what they might expect to see and do, what they will learn about, routines, practices and structures of the school setting. Together, parents and educators can provide consistent messages in preparing children for their transition and reduce anxiety. Partnerships between the education and care service, community child health services and the school are equally important in supporting children’s continuity of learning, security and healthy development. When information is shared with new educators and other professionals about each child’s current development, knowledge, skills and understandings, continuity for children is enhanced. The service’s philosophy, policies and procedures should also guide approaches and practices that promote positive transitions and support children to build on their previous experiences to embrace the changes and challenges of the new school environment. There are a number of resources to assist in developing policies and practices that support effective transitions. For example, Community Child Care Co-operative NSW has developed a Transition to School Example Policy which you may find helpful. The Transition: A Positive Start to School Resource Kit (Department of Education and Early Childhood Development Victoria) is relevant for long day care, family day care, occasional care, playgroups, OSHC, early childhood intervention services, kindergartens and schools. Ready Together-Transition to School Program, produced by Communities for Children (Inala to Ipswich) and the Crèche and Kindergarten Association (C&K), includes resources which provide support, tips and suggestions to support families and early childhood professionals in preparing children for school. The new NSW transition to School Statement is a practical tool designed to make it easier for information to be shared between families, early childhood services and schools. Use of the statement is optional and is completed by the child’s early childhood educator in cooperation with the family, before being communicated to the intended school. 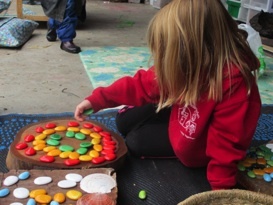 ACECQA spoke with Macedon Kindergarten’s education leader, Julie Priest, Macedon Primary School principal, David Twite, and local mum Katie Toll about the programs and activities in place to support children and families during transition. “Macedon Kindergarten’s participation in a local child services network has helped us establish really strong links with the schools in the community. The schools frequently drop off information about their programs and special events, which we display in our foyer and hand out to families. While it may seem like a small action, these materials are the stepping stones that begin the transition process,” Julie said. Earlier this year, Macedon Primary started a new initiative with Macedon Kindergarten where the preschool/kinder group was invited to the school to participate in storytelling and book reading in the Library. “These days provide an opportunity for the children to familiarise themselves with the surroundings of what could potentially be their new school the next year,” Julie said. Macedon Primary School principal, David Twite said the sessions were a great success, with investigations underway for future events. “As the weather warms up, we hope to extend more invitations to Macedon Kinder to participate in some outside activities,” David said. Macedon Primary also visits the kindergarten as part of a mentoring program. “During their visits, teachers and their ‘buddies’ [year 5 and 6 students] read to the children and participate in classroom activities. This provides another opportunity for the children to meet potential teachers, peers and form relationships,” Julie said. Another important component of Macedon Kindergarten’s program is the development of transition statements. The statements are completed by the educators and families to ensure useful information is captured and passed on to the teacher and principal of the desired school. “Each child is unique, therefore is it vital our statements directly reflect their learning abilities and personalities. We have received a great deal of positive feedback from families who appreciate the effort we go to, to ensure their child is supported throughout the process,” Julie said. Macedon Primary is also committed to supporting children and families through the transition process. “Once we receive the statements, our teachers meet with the educators at Macedon Kinder and discuss in length each child’s learning development, friendship groups and readiness for school and any additional support required,” David said. Katie Toll, local resident and mother of two, experienced the transition to school with her eldest son last year as he progressed from Macedon Kindergarten to Macedon Primary School. “The children regularly attended events and activities organised by the kindy and the school,” Katie said. “A great example was Orientation Day, where the children were invited to attend Macedon Primary for a couple of hours in the morning to familiarise themselves with the school, teachers and their new surroundings. Katie believes the smooth transition experienced by her son was due to the close relationships shared within the community. “I also found the program really valuable because the support networks and relationships I developed with other families in the kindy were able to continue through to the next year,” she said. John Mewburn Child Care Centre was one of several early education services involved in the 2013 New South Wales Transition to School Statement Trial. The two-month trial was implemented by the NSW Department of Education and Communities and aimed to improve the transition process from early education to primary school. Rose Todd, Manager of Education and Care at Gowrie NSW, and Carla Patulny, early childhood teacher (3-5 years), spoke to ACECQA about John Mewburn’s involvement in the trial and the strong relationship that grew between the service and the school. “The trial was conducted with a local primary school in November and December last year , and involved a small group of children and their families, the early childhood educators, local kindergarten teacher and principal,” Rose said. The primary purpose of the trial was to learn how services and schools can better support children in the transition process. “We wanted to create a smooth, stress-free transition for children and their families as they entered primary school,” Rose said. “We wanted to ensure they were entering a warm, welcoming environment where the kindergarten teachers and principal were aware of each child’s background, personality and learning development. Early childhood teacher, Carla Patulny, said the centre worked in partnership with families to develop transition statements that were a true representation of each child’s learning capability and needs. John Mewburn centre also worked closely with local primary schools to ensure a smooth transition process. “Once the statements were finalised and with the school, teachers would make regular visits to the centre to discuss each child’s needs and learning development,” Carla said. “These meetings helped the teachers familiarise themselves with each child and provided an opportunity to make special arrangements, if required. The trial provided the foundations for a strong relationship between the educators at John Mewburn and the principal at the primary school. Hirst, M., Jervis, N., Visagie, K., Sojo, V. & Cavanagh, S. (2011) Transition to primary school: A review of the literature. Canberra: Commonwealth of Australia, page 5. National Literacy and Numeracy Week is an opportunity for providers, educators and families to celebrate learning with their students and children. ACECQA spoke with two educators to see how they promote a culture of problem solving, understanding and learning in their educational programs and the opportunities for teaching these skills to young children in a way that is fun and engaging. Shirleyanne Creighton from South Grafton Multipurpose Out of School Hours Care in NSW finds that asking children what activities they want to do most is a great method of incorporating literacy and numeracy into the program. 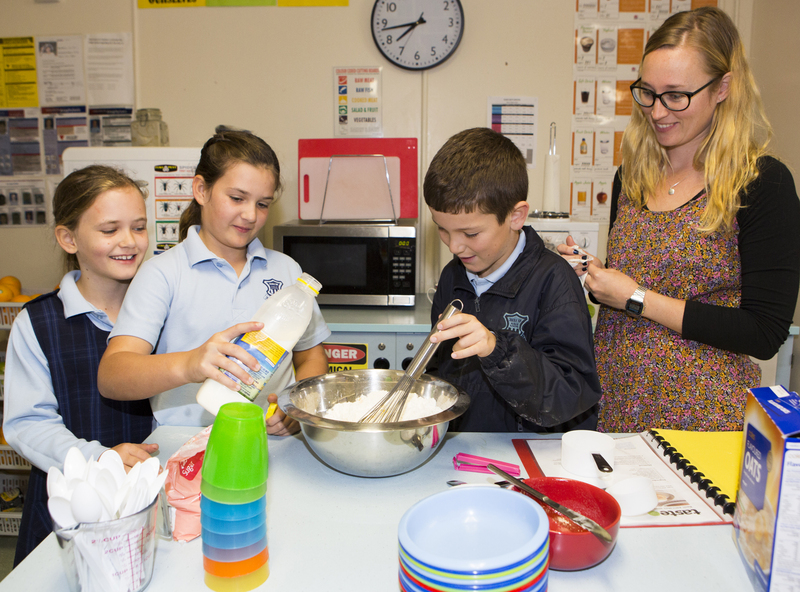 “We build a list of high-demand activities and then as a team work together to determine how we can underpin those activities with literacy and numeracy elements,” Shirleyanne said. are exciting ways for children to engage with numbers and text. “Literacy and numeracy skills are the cornerstones of education and should form the basis of most activities we set out for our students. and numeracy into their favourite activities, we can make the most of their natural intrigue and teach these skill sets creatively. “The whole process can be seamless. Our children are learning and they don’t even notice,” Shirleyanne said. 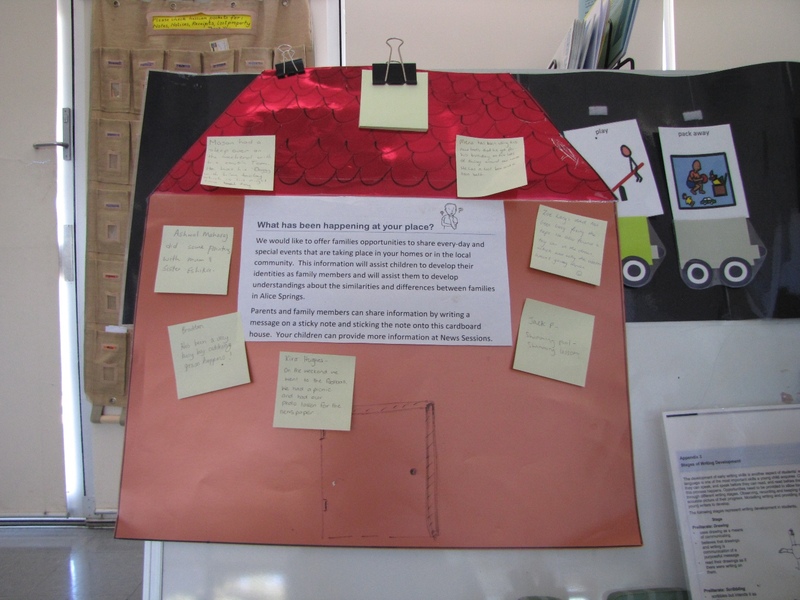 In South Australia, Lee Munn and her team at Lobethal Kindergarten have also come up with interesting ways of teaching literacy and numeracy through experience. 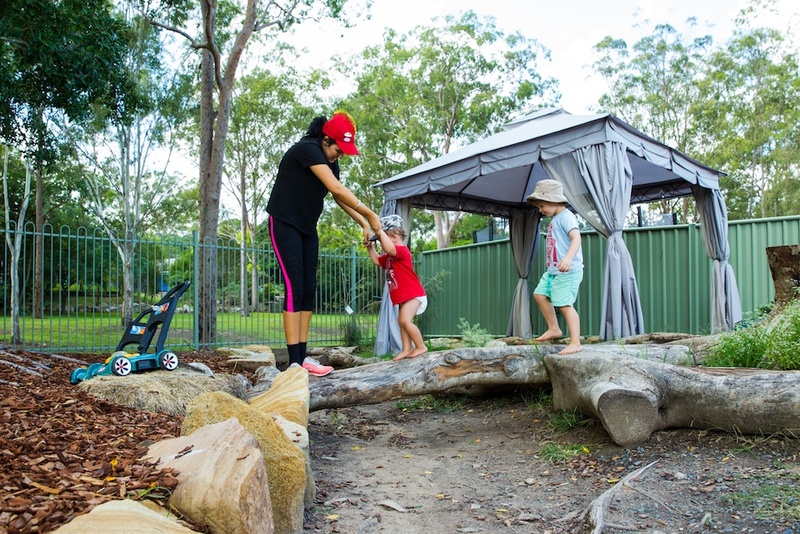 “Every term, one week is selected as the ‘Outdoor Kindy Week’ where all sessions are conducted in the outdoor learning environment,” Lee said. “Activities that are focused on thinking, planning and constructing functional items from simple materials such as pipes or bamboo help children to understand angles, weights and measurements. a canvas, allowing students to compose and illustrate their ideas,” Lee said. Lobethal Kindergarten also publishes a daily blog, which allows parents and families to read about the centre’s activities and enables them to comment and contribute to the curriculum. “We encourage children to connect with nature by getting them outdoors and challenging them to take risks and move outside their comfort zones,” Lee said. Visit www.literacyandnumeracy.gov.au/ for details of the week’s activities, useful resources and innovative ideas to celebrate learning. This week on We Hear You, Christine Harrison, founding President of the Montessori Australia Foundation, tells us about their NQF journey and how they have implemented changes on a national scale. What began as fairly widespread anxiety around implementation of the NQF and the EYLF eventually provided the Montessori Australia Foundation with a unique opportunity. We have been able to connect with our diverse Montessori community, build a relationship with regulatory authorities and ACECQA and begin a process of understanding and accepting the changes. So, does Montessori fit well with the Early Years Learning Framework as we were being told? Actually, yes it does – we just need to adjust our lenses slightly, understand the intent of the changes for the benefit of all children in early childhood settings and work with regulatory authorities so that they understand a bit more about the world’s best kept secret (Montessori education). In 2012 we ran a series of workshops in each capital city to assist Montessori services to comply with the NQS and especially the EYLF. We made these workshops informative, entertaining and empowering. They also enabled us to get to know some services that we had not previously had any contact with. Earlier this year we followed up with similar workshops, again well attended. We focused on the NQS one year on. In each State we invited a regulator representative to present and received nothing but co-operation from everyone involved – some even participating in our assessor visit role plays as either an educator or regulator! The level of professionalism shown and willingness to share information and understand more about Montessori principles and practices was consistently high across jurisdictions. Together with the timely statistics from the ACECQA Forum we were able to present up to date information about the NQS and measure these with our own data and feedback. We were particularly pleased to note the work of the Quality and Consistency Committee as participants had some concerns regarding the quality and consistency of the work of assessors in our services. However, participants were generally feeling much more confident after the workshops and regulator Q & A sessions, particularly knowing that there is ongoing professional development and training for assessors. Our journey continues as services receive their rating and some of the challenges continue but we remain confident that we share these challenges with regulators on a journey to put outcomes for young children first. “The unknown energy that can help humanity is that which lies hidden in the child” Dr Maria Montessori. 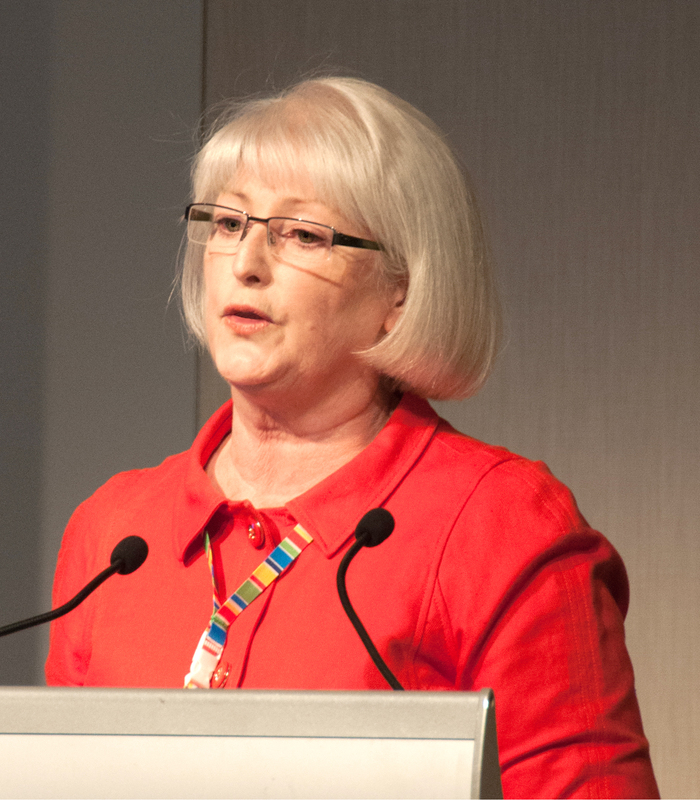 Christine Harrison has been involved in early childhood education since 1985 and was Principal of the Canberra Montessori School, one of the largest Montessori schools in Australia, for over twenty years. She is the founding President of the Montessori Australia Foundation. She was Chair of the Association of Independent Schools in the ACT and on the Board of the Independent Schools Council of Australia. Christine is involved in government liaison, policy development, compliance, early childhood and school age curriculum development and liaison with ACECQA on behalf of Montessori ECEC centres. She has a background in mediation, conflict resolution, adult education and a particular interest in governance in community organisations.